(Macao, Dec. 06, 2018) – A Crystal Jade La Mian Xiao Long Bao restaurant has opened at Sands Cotai Central, joining a first restaurant that launched at The Parisian Macao in May. 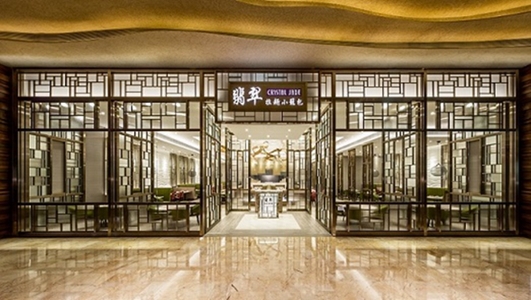 Operated by the renowned Crystal Jade Culinary Concepts Holdings restaurant group, Crystal Jade La Mian Xiao Long Bao, which originated in Singapore, brings a contemporary twist to classic Beijing, Szechuan and Shanghai cuisine. Offering quality cuisine at reasonable prices, the group operates more than 120 restaurants across 30 cities, including Singapore, Vietnam, Bangkok, Seoul, Manila, Shanghai and Beijing. 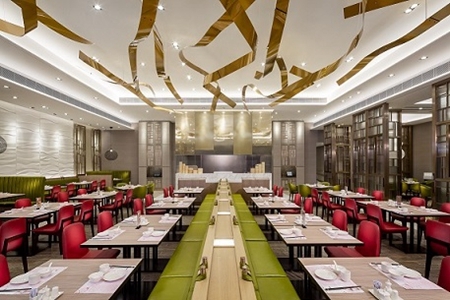 Crystal Jade chose Sands Resorts Macao to expand the brand into Macao based on the group’s reputation for delivering quality dining, alongside its customer base and impressive footfall. Since 2009 Crystal Jade La Mian Xiao Long Bao has been commended by the Michelin Guide for seven consecutive years with ‘Bib Gourmand’ recognition for its excellent quality and value for money. In addition to classic dishes such as shredded chicken and bean starch sheet in sesame sauce, sautéed prawns in chilli sauce, and braised minced pork ball with vegetables, the brand is renowned, as its name suggests, for its signature Lanzhou ‘La Mian’ noodles and Xiao Long Bao dumplings. A firm favourite with diners, the silky noodles are handmade to order and served with a rich soup simmered down from pork bones and Jinhua ham for at least eight hours, while each mouthwatering xiao long bao is folded with a minimum of 20 creases, filled with aromatic broth and steamed for exactly seven minutes. As well as original, the multi-flavoured xiao long bao set is available in eight exciting flavours, including truffle and cheese (limited daily availability). With Macao named as a UNESCO Creative City of Gastronomy in late 2017, there has never been a better time to explore Sands Resorts Macao’s award-winning array of great dining options. Sample an authentic French afternoon tea at The Parisian Macao’s Brasserie, the famous seafood platter at The Venetian Macao’s Portofino, old Beijing noodles at North and spiced delights at Michelin-starred Indian restaurant The Golden Peacock. Photo caption: Crystal Jade Culinary Concepts restaurant group has opened a La Mian Xiao Long Bao brand restaurant at Sands Cotai Central to enhance the first which arrived at The Parisian Macao restaurant.